Most companies today realize that those brands that place their focus on the customer – rather than the company – end up more successfully engaging customers and increasing retention rates. After all, this is the era of the customer, and it is essential to know your customers to deliver the targeted, personalized communications that they have come to expect. Many organizations have started to understand that customer relationship management (CRM) is crucial to successfully managing, organizing, and segmenting interactions with contacts to provide a more personalized experience. Many brands are still not realizing the true power of CRM. Industry experts suggest one reason for this low and slow adoption may be that some business owners think that CRM is a software tool designed only for larger-sized enterprises with dedicated sales teams. A recent roundup of sales and business-development leaders as part of Forbes’ Business Development Council had several interesting insights on the role of CRM in driving results. Gallagher’s Jen Tadin suggests that CRM can play a crucial role as a workflow tool for sales. 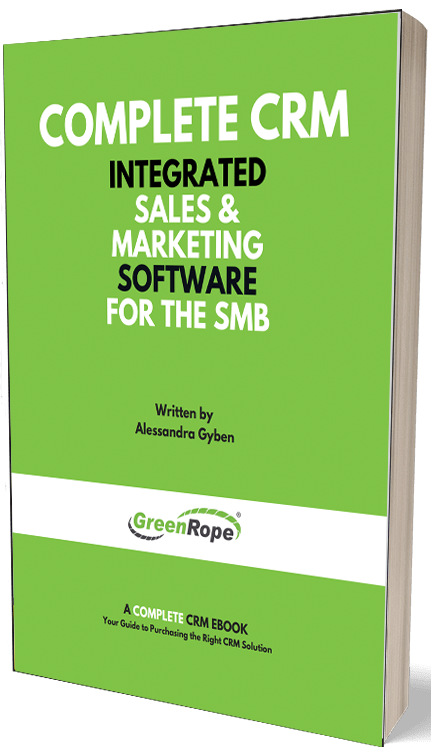 “This means every step in the sale flows through it allowing for granular reporting metrics at every single point in the sales process. Then you can make minor tweaks that have a major impact,” Tadin said. Whatever approach your business takes when it comes to marketing efforts, CRM can dramatically lighten your load and enhance your marketing efforts. For starters, CRM gives you the ability to segment your contact list so you can deliver the right messages and promotional deals to the right customers at the right times. By tagging prospects in your CRM system, for example, you can more efficiently track those customers who have identified a particular pain point. Equipped with this knowledge, you can then send them helpful resources, such as a free guide or case study, that helps address their need, while also simultaneously making a cross sale offer to those customers that have purchased a specific product. Businesses that don’t utilize CRM tend to rely on the much-overused (and questionably effective) email blast. Their prospects and current customers all receive the same offer, whether it's relevant or not. However, with this approach, you risk sending contacts impersonal messaging. At best, it ends up, unread, in the trash. At worst, it’s reported as spam and you’re dinged by your email service provider. With CRM, however, you can take your marketing insights to the next level via powerful analysis and reporting features. And because the technology tracks countless details within your contact list, CRM helps you better understand the data and make more informed decisions. A robust CRM will be able to generate reports on everything from customer interactions, specific campaigns, individual purchases, personal preferences and more. As a result, the more you truly understand the details surrounding your interactions with your prospects and customers, the easier it will be to create targeted follow up messaging and tweak your list into sharper segments. Too, creating meaningful links and data sharing between your marketing or product development group’s project management systems (PMS) will ensure that insights generated by your CRM get shared across departments. Target the right contacts (the first time). One of the most daunting tasks for businesses is to sort through and truly understand the mountains of incoming customer data. To get a response from prospects that may be most likely to make a purchase, you need to deliver targeted messages that appeal specifically to them. With CRM, you can easily go through your contacts and target the right customers based on location, sales, previous online behaviors, and just about any other dimension you can track. Segment your list. The more detailed a potential customer’s profile is within your CRM, the more chances you have to personalize their messages and boost your chances of holding their attention. With CRM technology, you can segment not only by job type or industry but also categorize by recent activity, responses, products previously purchased, e-mails opened, e-mails unopened, personal likes and dislikes, and much more. Personalize, personalize, personalize. Once you have selected which group you want to target and divided into more meaningful groups, it’s time to customize your messaging. CRMs allow you to not only address prospects and current customers by name, but you also can take it another step further and show them you are familiar with their business name or even gender. Equipped with this vital data, you can better recommend a solution, provide educational information, or gather more information. Ultimately, you’ll be shaping your messaging in a way that is most ideal for each specific customer. The more personalized your content is, the better your chances of seeing increased opens, increased response rates, and a boost in profits. Those organizations that take advantage of the powerful reporting capabilities a CRM can provide can better engage with current customers – and prospects – on a much more personalized level. At the end of the day, CRM is more than just a contact database. Powerful customer relationship management solutions help you streamline your messaging and workflow with a single, easy-to-use tool. CRM is the most efficient way to get more meaningful insights about your contacts’ behaviors as it helps you develop more suitable target groups that are most likely to respond to individualized messages. Lisa C. Dunn is a writer for TechnologyAdvice.com and a freelance writer, copywriter and ghostwriter who develops high-quality content for businesses and non-profit organizations. For over 20 years, she has worked with numerous PR and digital marketing agencies, and her work has been featured in well-known publications including Forbes, VentureBeat, Mashable, Huffington Post, Wired, B2C, and USA Today, among others.